Russian stocks continued their slump, falling a fifth consecutive day as crude oil declined. The rouble strengthened against the dollar, closing at 31.34, and continues to gain momentum on Asian floors, currently up 0.17 percent to 31.40 at 9:41 MSK. The MICEX soared when floors opened, and hit 1.374.55 at 11:39am, but then retreated and closed at 1,373.65, just 0.29 points above its open 1.373.53. The RTS made a significant gain of 0.43 percent and jumped 5.89 points closing at 1.386,47. After a morning rally, European stocks came up short at market closed. The Euro Stoxx closed low at 2,806.70, down 0.10 percent. France’ CAC 40 closed at 3,979.07, down 0.08 percent, and Germany’s DAX closed positive up 0.09 percent, continuing its record gain ascent. In London, the FTSE 100 slid 0.09 percent, bringing its nine-day rally to a halt. 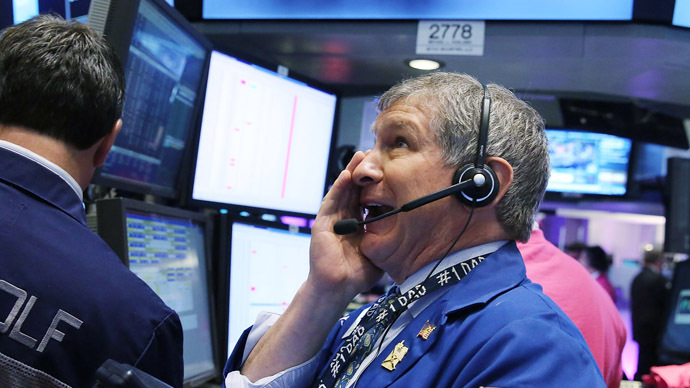 US markets disappointed on economic woes. The Dow Jones dropped 42.47 points, down 0.3 percent and closed at 15,233.22. The S&P 500 fell 0.5 percent and closed at 1,650.47. Analysts await the publication of a University of Michigan consumer sentiment and inflation expectations, due Friday. Federal Reserve Chairman Ben Bernanke will speak at 16:00 in New York on Saturday, addressing the US job market, which may cause some volatility in Monday’s trading sessions. Asian stocks were mixed. The Nikkei 225 Index was down 0.27 percent the Shanghai Composite is up 0.87 percent. The Hong Kong market is closed on holiday. Australia’s ASX is up 0.02 percent on Asian floors and the NZSE index is down 0.92 percent. New Zealand will release official price inflation data Friday. The Australian dollar has continued its rapid slide below parity with the USD, falling to the lowest level in 12 months, trading at 97.47 US cents off the back of pessimistic Chinese industrial forecasts and the resurgent US currency. Early week oil peaks have neutralized but both WTI and Brent have slightly gained. WTI is up 0.03 percent at 95.19 and Brent is up 0.12 percent at 103.80.